A nice thick layer of dust on the electronics of a piece of vintage kit is a good sign that it is still in original condition. One of my pet peeves as well. I buy and sell a lot of headphones, some of them decades old. By nature they get handled more often than most audio equipment and unless the seller takes some time (and pride) to clean it up it can be quite terrifying. Headphones accumulate a lot of gunk over time, and even ones from the most fastidious of sellers may need a cleansing ritual involves alcohol swabs and a gentle wash on arrival. Sometimes the seller does not even wipe it down with a damp cloth. I've had cables covered in bubble gum, headphones reeking of tobacco. I even had a pair arrive with a stench of mothballs ... it took two weeks of vinegar wash and sun exposure to get it to a usable state. I could not & will never purchase used headphones. The thought of wearing another persons sweat/shampoo/dandruff/body oils/face cream/aftershave/whatever is simply too disgusting to contemplate. As for second hand in-ear monitors. "A nice thick layer of dust on the electronics of a piece of vintage kit is a good sign that it is still in original condition." 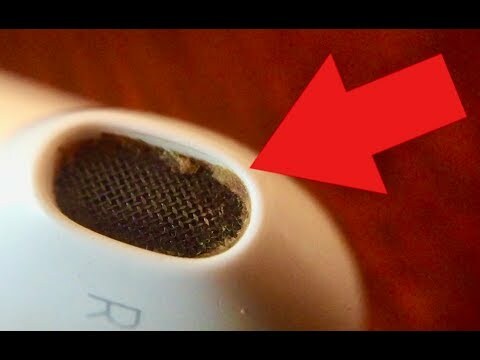 When buying audio equipment from an auction it is usually not so clean and untested.